In an interview on Living a Richer Life talk radio some months ago, the host, Earl Cobb, mentioned that many people say they are going to write a book but never accomplish their mission. “How is it that you were successful?” he asked. When I set out to prove to myself that I could publish a book independently as an inexperienced writer, I took to heart the inspirational words I’d heard someone say “I wanted it more than I was afraid of it.” I also changed my vocabulary from I was going to try to write a book to AM writing and publishing a book. I eliminated the word try out of my vocabulary completely. What a difference it made in the outcome and I even became an award-winning author, to boot! 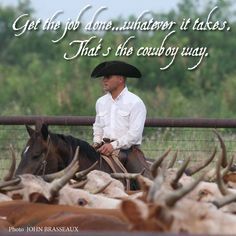 If you want to accomplish your goals and if you can’t eliminate the word try completely, this video featuring Jim Owen of Cowboy Ethics points out another way of looking at the word TRY. You will find it interesting! Last week in the blog post A Shepard’s Tea, I mentioned having a celebration after the New Year. Perhaps a Hoe Down might be more appropriate since I found fulfillment using Cowboy Ethics in Colorado. Want to learn more about the principles behind the term Cowboy Ethics, visit this website. This blog is brought to you by award-winning author Sue Batton Leonard. For information about her publications Gift of a Lifetime: Finding Fulfilling Things in the Unexpected and short stories Lessons of Heart & Soul.